I have regularly asked why we don’t know more about the Equifax breach, including in comments in “That Was Close! Reward Reporting of Cybersecurity ‘Near Misses’.” These questions are not intended to attack Equifax. Rather, we can use their breach as a mirror to reflect, and ask questions about how defenses work, and learn things we can bring to our own systems. 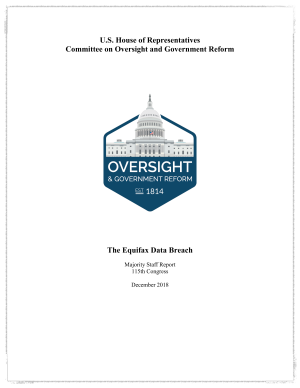 Ian Melvin was kind enough to point out a GAO report, “Actions Taken by Equifax and Federal Agencies in Response to the 2017 Breach.” As you’d expect of a GAO report, it is level headed and provides a set of facts. 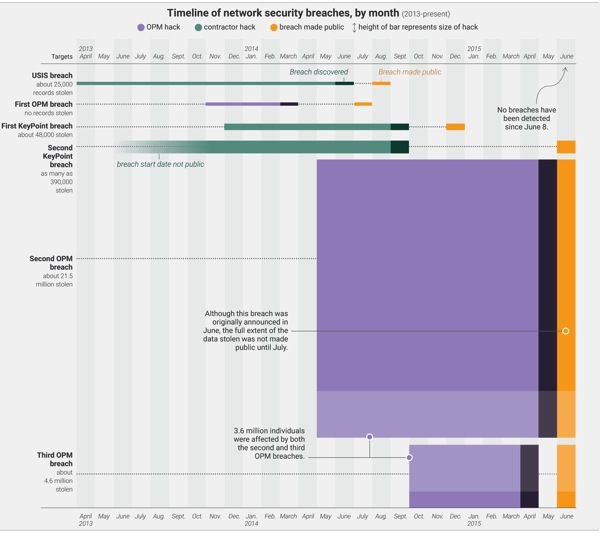 How did the attackers get root? Why wasn’t the root shell noticed? Would our organization notice an extra root sell in production? How did they get access to the other 48 databases? blending in with regular activity on the network.” I find this statement to be surprising, and it raises questions: Does the dispute resolution database normally connect to these other databases and run the queries which were run? How was that normal activity characterized and analyzed? Encryption provides content confidentiality, not meta-data confidentiality. Would we detect these extra connections? Specifically, while Equifax had installed a device to inspect network traffic for evidence of malicious activity, a misconfiguration allowed encrypted traffic to pass through the network without being inspected. 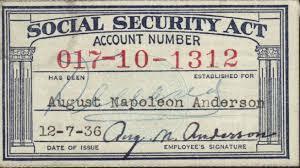 According to Equifax officials, the misconfiguration was due to an expired digital certificate. The certificate had expired about 10 months before the breach occurred, meaning that encrypted traffic was not being inspected throughout that period. Would your organization notice if one of hundreds or dozens of IDSs shut up for a week, or if one ruleset stopped firing? More published incident reports will help us get smarter, and provide better answers to the questions that CEOs and boards are asking: could this happen to us? With this report we an answer that better, but still not well. JCPenney and Wet Seal were both officially added to the list of retail victims of Albert Gonzalez on Friday (March 26) when U.S. District Court Judge Douglas P. Woodlock refused to continue their cloak of secrecy and removed the seal from their names. StorefrontBacktalk had reported last August that $17 billion JCPenney chain was one of Gonzalez’s victims, even though JCPenney’s media representatives were denying it. You’re probably talking about this terrible security disaster already: the largest database leak ever. Arweena, a spokes-elf for Santa Claus, admitted a few hours ago that the database posted at WikiLeaks yesterday is indeed the comprehensive 2009 list of which kids have been naughty, and which were nice. The source of the leak is unclear. It may have come from a renegade reindeer, or it could be the work of a clever programmer in the Ukraine. Either way, it’s a terrible black eye for Santa. Arweena promised that in the future, access to this database would be restricted on a “need to know” basis. And you know who that means! Let’s see if customers really change their behavior. I know which way I’m betting. It’s been a bad couple of weeks for residents of Connecticut and their personal health information. First Blue Cross Blue Shield had a laptop stolen with enough PHI that over 800K doctors were notified that their patients were at risk, including almost 19K in Connecticut. Connecticut’s attorney general said Monday that he’s investigating insurer Blue Cross Blue Shield’s loss of confidential information about health care providers, which was on an employee’s stolen laptop computer. Richard Blumenthal said Monday that the company and its affiliates may have broken state law by losing the information and taking too long to notify doctors. And if that wasn’t enough, Health Net lost Information for 450,000 Connecticut residents. Blumenthal said he’s “outraged” that the company never told customers or police and only told the AG on Wednesday. Blumenthal is investigating and demanding that Health Net provide consumers with at least two years of identity theft protection, identity theft insurance, reimbursement for credit freezes and credit monitoring for at least two years for all 446,000 consumers. I wonder how many other State AGs are investigating Health Net at this point. There were a total of 1.5 million records lost at least count. At bare minimum Arizona’s AG is also investigating. Health Net officials said they were not able to determine which information was on the disk, so they investigated and learned the information was saved in an image format that cannot be read without special software.